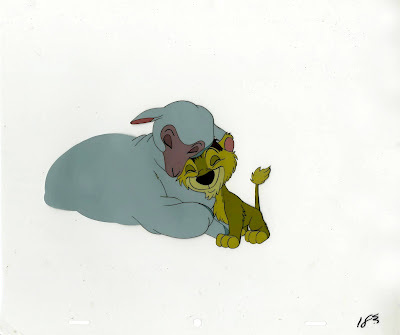 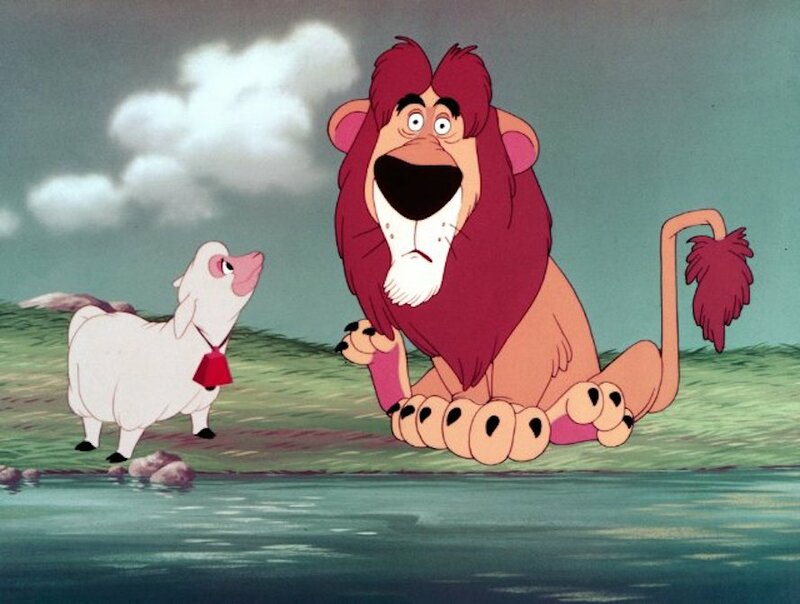 I really like this charming Disney short from 1952. 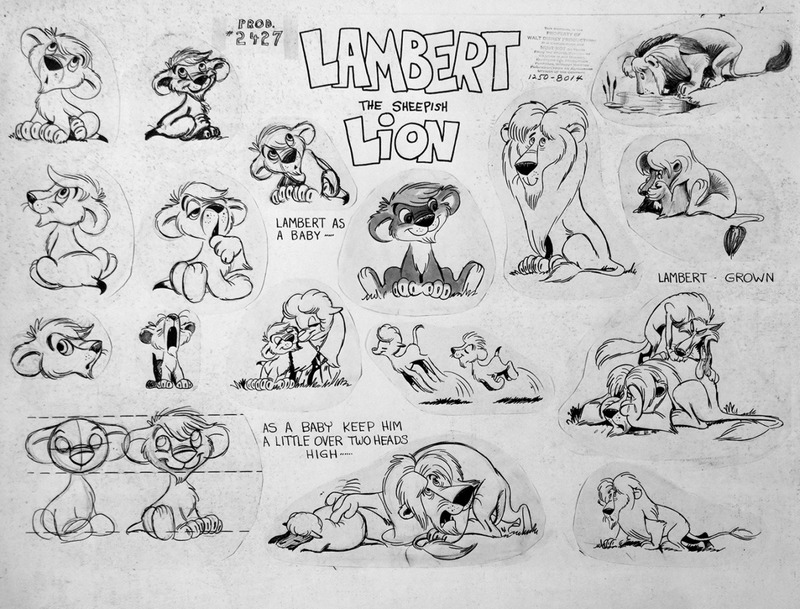 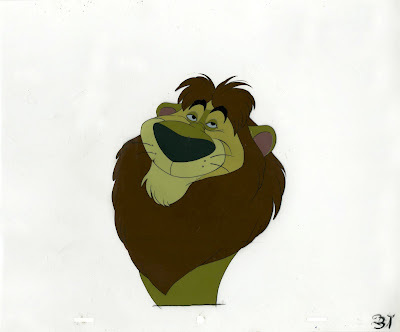 Bill Peet was the main story artist on Lambert, the Sheepish Lion. Look at this beautiful nighttime scene above. 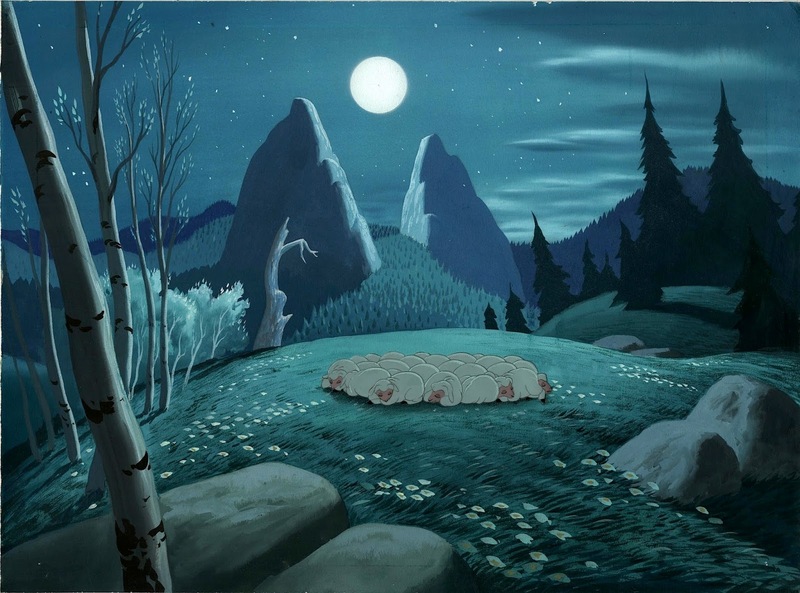 Wether Pecos Bill, Peter Pan, Cinderella or other films, the night scenes always transported me to another world. If I may be so blunt though, I do not find any "A" type animation in the short. 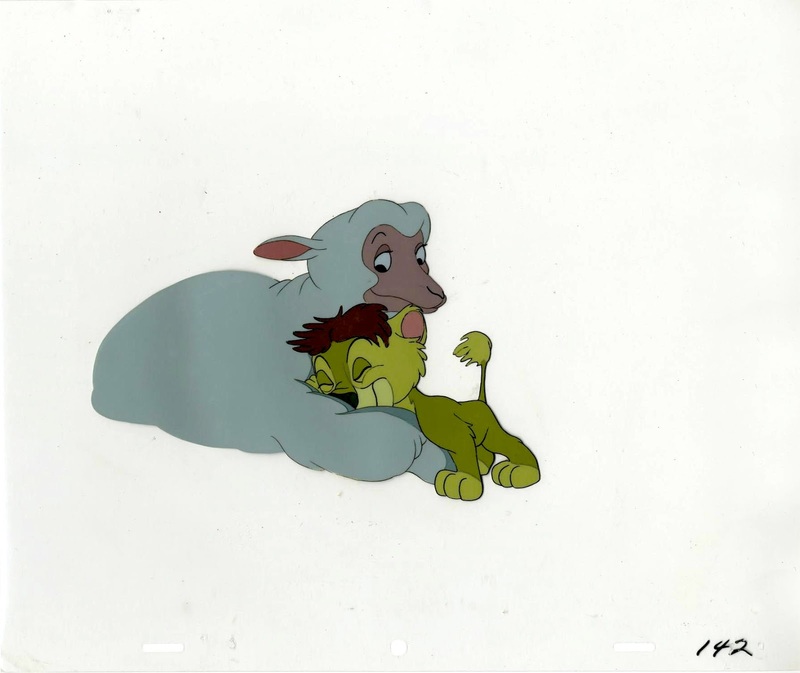 Eric Larson and John Lounsbery are listed among the animators' credits, but no performance really stands out. It's the clever and emotional story that is the real star here. A few cels featuring the main characters. 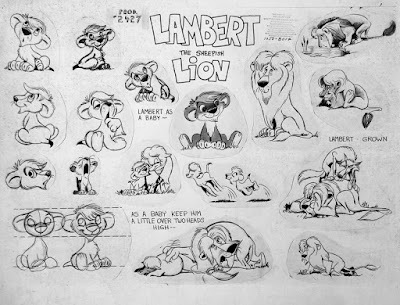 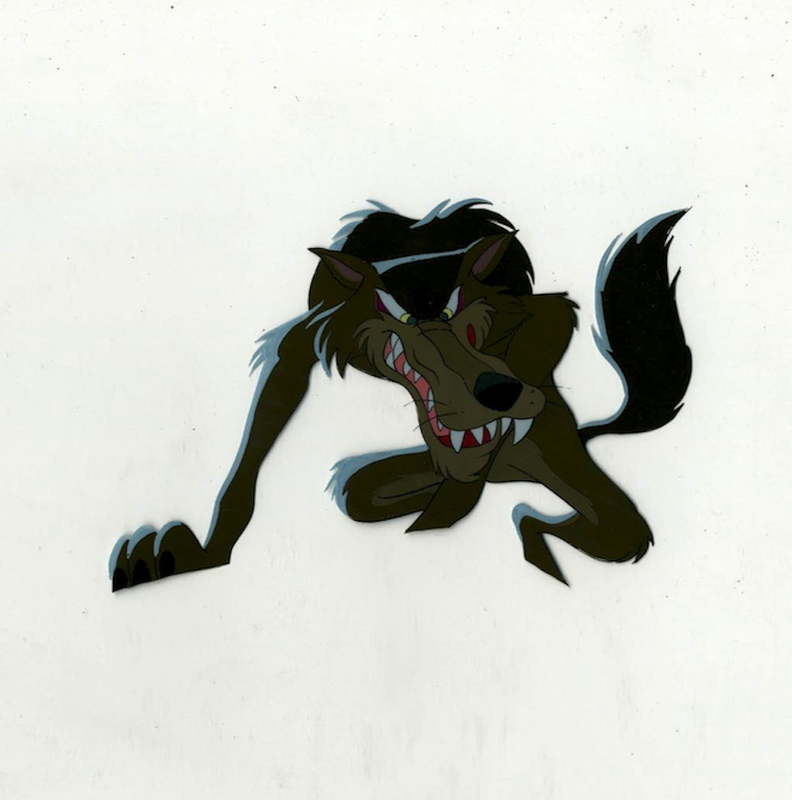 An early model sheet, no idea who drew it.